The relationship between climate and wildfire area burned suggests how fire regimes may respond to a changing climate. This West-wide data publication contains a 27-year record (1980-2006) of climatological variables used to develop statistical models of area burned that can be projected into the future. 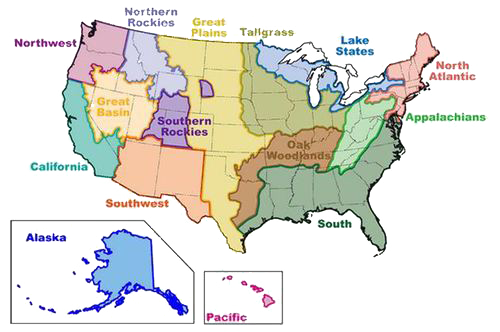 We provide a separate file for each of the 56 Bailey’s ecosections (Bailey 2016) across the West, with annual area burned and 112 climate predictor variables such as evapotranspiration, precipitation, relative humidity, soil moisture, snow-water equivalent, minimum and maximum temperature, and vapor pressure deficit. These historical and future hydroclimate projections and historical fire area burned data were derived for McKenzie and Littell (2016).